The Milton Public Schools is pleased to support the Wait Until 8th initiative. Did you know that the average age a child gets a smartphone is 10 years old and that children are spending between 6 and 9 hours a day on media? Childhood is changing, and the negative impact of too much screen time is hitting kids hard. We have good news for you though. There is a wonderful resource to help families delay the smartphone and give their children more time smartphone free. MPS Director of Technology AJ Melanson shared the details with the School Committee in this presentation. 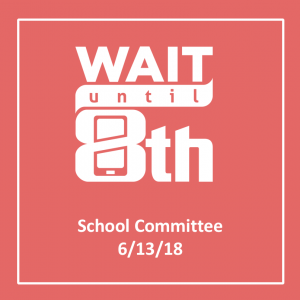 The Wait Until 8th pledge empowers families to rally together to delay giving children a smartphone until at least 8th grade. By banding together, this will decrease the pressure felt by kids and families alike over the kids having a smartphone. Please note that this pledge is for smartphones only! If you would like your child to have a basic phone that just calls and texts, you still can sign the pledge. The basic phone avoids many of the distractions and dangers of the smartphone. A pledge becomes “active” once 10 or more families from a grade at a school sign. The organizers designed the pledge this way so you don’t have to fear “what if I am the only family that signs this in my kid’s grade.” This takes the pressure off because the pledge only kicks in once at least 10 families sign from your grade. When taking the pledge please use the following names for each school: Collicot Elementary School, Cunningham Elementary School, Glover Elementary School, Pierce Middle School, Tucker Elementary School. More than 8,000 families from all 50 states have said yes to waiting for the smartphone. Will you join us? Childhood is too short to waste on a smartphone. Let’s let kids be kids a little longer. Take the pledge now! To learn more, please visit Wait Until 8th. Also, you can check out these recent news stories about the pledge here – The Today Show Good Morning America NPR’s On Point news program. Ada Rosmarin, Strategic Plan Subcommittee Co-Chair shares the following. 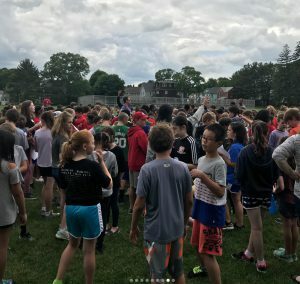 After five years of development, the Milton School Committee approved a new Vision Statement and a Strategic Plan for 2018-23. The Strategic Planning Advisory Committee led the development of the plan that addresses five strategic initiatives and goals, with a sixth that is under development: Curriculum and Instruction; Technology; Data Use; Cultural Competency; Social Emotional Learning and Facilities. Five task forces developed action plans for each of the goals and liaisons between the Strategic Planning Committee and the Task Forces served to coordinate and communicate the efforts and feedback between each group. Input and feedback from the Milton community was key in the development of the plan and will continue to be critical to its success. In fall 2016, three teams of MPS educators and community members were recruited to address three key agenda items: School System Description/Data Initiatives; Core Beliefs and Goals and Three Current Initiatives; Environment and Technology. 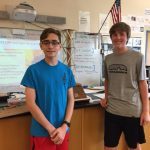 The valuable information gathered by each of these teams as well as a survey and feedback process that involved the broader Milton Community led to the vision statement that was approved by the School Committee in November 2017. 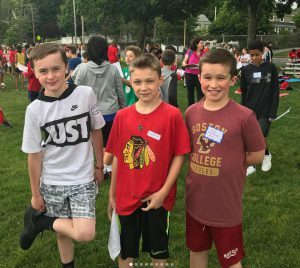 After the draft Strategic Plan was presented to the School Committee in May 2018, another survey and feedback process was done to gather feedback prior to the plan’s approval on June 6, 2018. Through the survey, staff and parents/guardians volunteered to be involved in the Strategic Planning process as it moves forward. We encourage anyone else, who might still like to volunteer to be involved in this process, to be in touch with us via Charlene Roche. Please review the full Strategic Plan here and a recent Milton Times article on this process can be read here. Thank you to the Strategic Planning Advisory Committee for the 2017-18 school year: Parents Steve Paxhia( Subcommittee Co-Chair) and Spencer Blasdale, SC Members Ada Rosmarin (Subcommittee Co-Chair) , Dr. Kevin Donahue and Margaret Eberhardt, and MPS administrators Dr. Elaine McNeil-Girmai, Dr. Karen Spaulding, A.J. Melanson, Michelle Kreuzer, Mary Gormley, Janet Sheehan and Dr. Glenn Pavlicek. Families who have students in these categories are required to complete the form that will be mailed to their homes (form is also available here ) and provide all necessary documentation. This process, now in its 4th year, is one of the safeguards used by MPS to ensure that all students enrolled in our schools are residents of the town of Milton. Although the re-registration process may be an inconvenience for some families, we hope that residents understand that this is a valuable tool to protect taxpayers in the town of Milton. We work year-round on residency issues and this is simply one more method to assist us with ensuring residency compliance. Ms. Sarina Burke, MPS Residency Coordinator, will be working morning and evening hours all summer to better meet the needs of parents/guardians schedules. The summer hours for reestablishment starting July 9th are Tuesday and Thursday mornings from 7 -10am and Tuesday evenings from 4-7pm or by appointment. 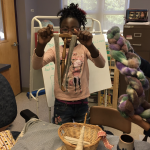 Ms. Burke can be reached via email or at 617-696-4470 ext 5516. 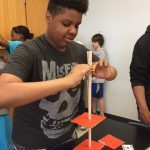 *This includes all students who attend Blue Hills Regional Technical School, Norfolk County Agricultural High School and Special Education out-of-district placements for students entering grades 6 and 9. 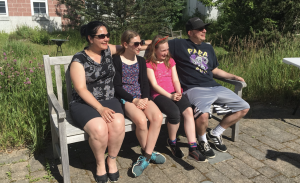 Summer vacation is a time to recharge, relax and enjoy family and friends and I’m sure many are looking forward to the break from the school routine. 9 weeks out of school is a lot of vacation time and with just a bit of effort on the part of families, students can return to school refreshed and ready to learn. Let’s all avoid the Summer Slide and take advantage of these wonderful resources our educators have prepared for all students! 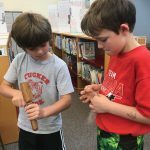 Summer reading resources for students K-6 can be found here. 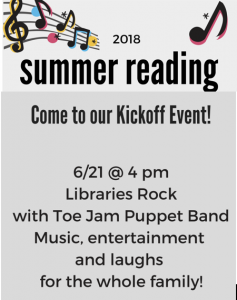 Please register for summer reading today or email Marti O’Keefe McKenna for help in registering. Students in grades 6-8 can find reading requirements here. 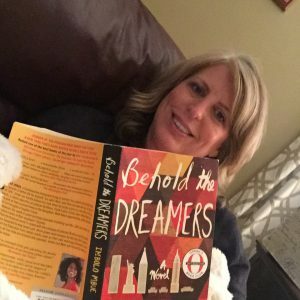 What is Mrs. Allegrezza reading this summer? MHS students can find all summer requirements here. Parents/guardians and staff – what are you reading this summer? Will you share your picks in this one question survey so we can share with the MPS community? 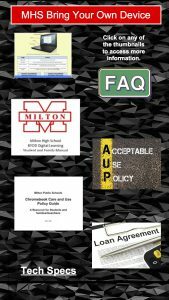 MHS families, please take a moment to complete the Milton High School Bring Your Own Device (BYOD) Declaration Survey. Next year, all MHS students will be asked to bring their own device, other than a smartphone, to school with them each day. For students who will not be able to meet this request, a Chromebook will be loaned out to the student by Milton Public Schools for the school year. We ask that all families declare whether or not your student(s) will be able to meet this request to bring their own device next year. If you currently have an 8th-11th grade student and have not completed the short BYOD declaration survey please do so as soon as possible. For more information regarding the BYOD Loan Agreement, BYOD Student & Family Manual, BYOD FAQs, the MPS Acceptable Use Policy, and Chromebook Care & Use Policy, please visit the following flyer and click on the thumbnails to view the information. 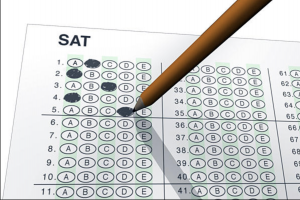 For the first time, MHS seniors will have the opportunity to take the SATs at Milton High School on October 10th during the school day. This is a new opportunity offered by College Board for the upcoming school year. Taking SATs on this day is not mandatory but we are hoping seniors will take advantage of this new school day testing option. You WILL NOT register for this School Day testing on the College Board website; you will register with UNIBANK through the MPS website. Go to the UNIBANK icon on the MPS homepage. Registration is open now but will close on June 22nd as materials have to be ordered by June 25th. Once registration is closed there will be no opportunity to register, so please sign up ASAP if you are a current junior and want to take the SAT on Wednesday, October 10th, 2018. Please email Karen Cahill with any questions. people working at the airport and to see firsthand the different vehicles and technology currently being used in the industry. 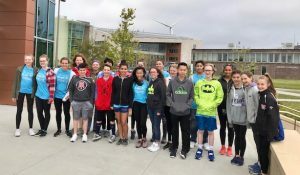 Finally, on June 5th, 110 students who attended our Clean Energy Day earlier in the spring visited Mass Maritime Academy to tour and see first hand the different Clean Energy Initiatives on campus. 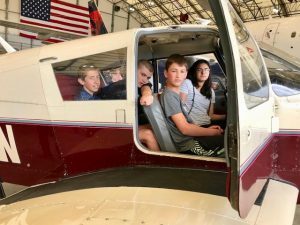 Highlights included standing inside a wind turbine and experiencing the Bridge Simulator, a ship simulation where students at the Academy can practice driving large ships in any part of the world. Pierce Alumni and current Mass Maritime cadet, Kevin Trifone was kind enough to join one of the tour groups providing a local perspective on life at the Academy. 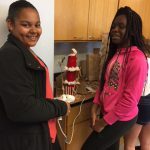 Funding for these trips was provided through our partnership with Schools to Careers and through a grant from the Massachusetts Clean Energy Council. 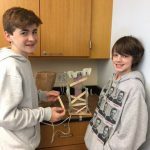 Pierce 8th grade students recently worked on their earthquake tower project, both building and testing designs that could potentially withstand an earthquake. 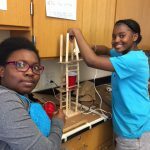 These students researched, planned and designed scale models of their towers before construction started. 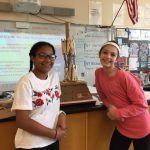 This collaborative project was fun, creative and successful! It’s time to Step Up to Pierce! 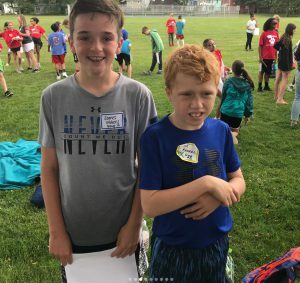 For weeks 5th grade students from across the district have written letters back and forth getting to know each other and last week they got to meet each other. Thank you Pierce for supporting our students and making them feel comfortable as they get ready to Step Up to Pierce! 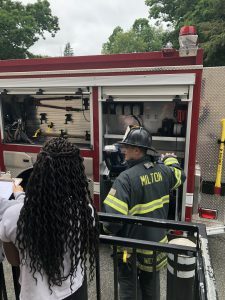 Last week, I was pleased to participate in 5th grade Tucker Career Day. 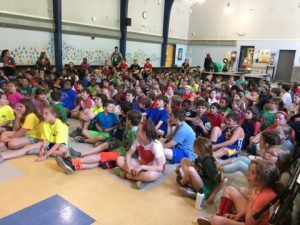 I joined many other professionals charged with the task of sharing our career paths and inspiring our Tucker 5th graders as they move on to middle school. Thank you to Boston Police Boston Police Officer Davis, Sargent Brook, and Officer Foote; Human Resource executive Alexandria Mauristhene; business owner and Psychiatric Nurse Practitioner Gabrielle Abelard; ICU Nurse Eduarda Fernandes; Video Game Industry employee Nathan Sitkoff; Channel 5 television reporter David Bienick and Milton Firefighters Matt Neundorf, Paul Gardiner and John Brennan who generously gave of their time and knowledge. 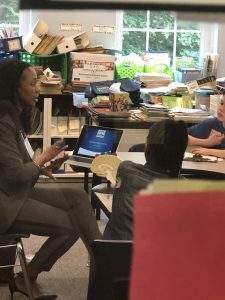 5th grade teacher Shannon Brooks, who organizes the event, shared that prior to Career Day students are guided on an interactive web quest to research careers that may interest them. 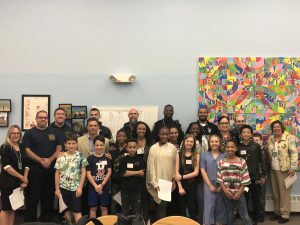 On Career Day, each student is given the opportunity to rotate into three, 20 minutes sessions and they bring their note taking guide and as well as interesting questions. My own experience showcased their preparedness as the students I met were engaged and asked thoughtful questions. Thank you to Ms. Brooks for organizing a wonderful day for our students. 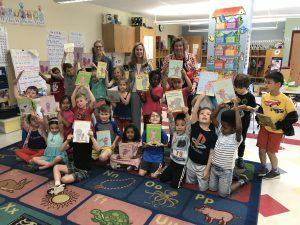 Milton community members visited Cunningham last week for the annual Cunningham Community Read day. 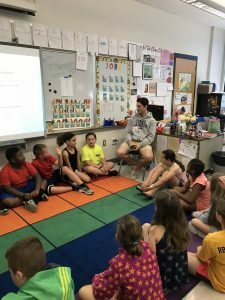 Members of the community gather at the school and visit classrooms to share a book and a bit about what they do in the Milton community. 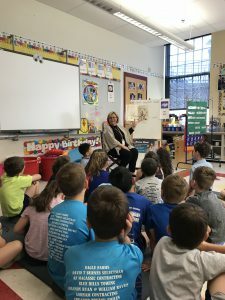 I was happy to read to a Kindergarten class and found them enthusiastic and ready for 1st grade! Last Friday Collicot celebrated International Day. 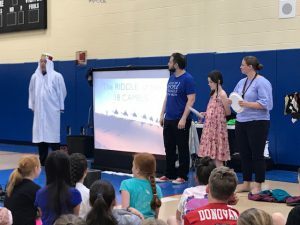 The teachers and staff planned lots of activities to celebrate the richness of different cultures, countries, and languages in the world. 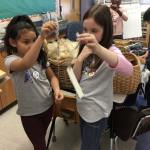 Each grade learned about different countries including Australia, Italy, Turkey, Spain, France, Greece, Argentina, Colombia, Venezuela, Brazil, Japan, Israel, India, Korea, Canada, Haiti and Mexico. 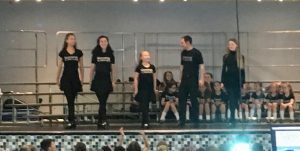 In the afternoon, the Collicot community came together for a school wide assembly featuring an Irish Step Dance performance and musicians and instruments from the Arab world. Collicot kindergarten classes joined together this week to perform their 3rd annual “Rumble in the Jungle” celebration. Families took a walk through the jungle while enjoying songs and poems performed by the class of 2030! We have had 3 recent activities in our schools that were all funded by MPACE. 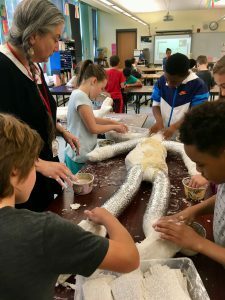 MPACE is a taxpayer funded initiative that provides cultural experiences for our students that are beyond the scope of what the district can provide. 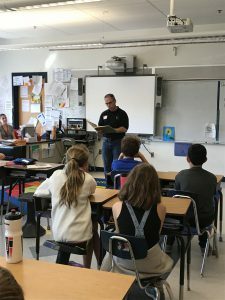 Please read more about MPACE and how they support our students each year, and you can still contribute to MPACE here. So what have our students been enjoying this month thanks to MPACE? Mr Nicky for our 6th graders. What do you get when you combine history and music? You get Mr. Nicky’s contagious songs that had our middle schoolers on their feet! Listen to his music at your own risk – you’ll find yourself humming them later on. MathsAmazing for our 4th and 5th graders. 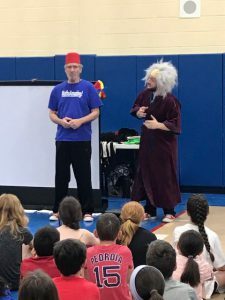 The students loved this show and the quality of math covered was excellent! 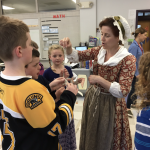 Storyteller, historian, and hand-spinner Nancy Bell delighted our 3rd graders with her fun, hands-on, historical “Edu-tainment.” Her “Spinning History” program is a visual arts and women’s history performance about the role the art of spinning played in the American Revolution. Traci Wojciechowski from Caron Student Assistance Programs presented The Truth about Vaping to parents and guardians on Monday evening June 4that the MHS auditorium. This issue is becoming a health epidemic among our youth across the country, throughout the state and here in Milton. We have seen a spike in the use of these products at MHS and it has become an issue in other local districts. You may find this video from the Westwood-Mansfield Pediatrics Associates (Lester Hartman, MD, MPH) useful. MPS Director of Health/Physical Education Noel Vigue and MHS Principal James Jette share more below. All adolescents are at risk of abusing prescribed pain killers, and the rate of deaths among adolescents abusing these opioids is increasing across the country. Youth who have had histories of mental health problems, which include depression and chronic anxiety or stress and sleep disorders, are found to be at even greater risk of becoming dependent on a prescribed pain killer (opioid) like Oxycontin or Vicodin—especially if their pain is related to their psychological condition. Kids who are on psychoactive drugs are at most risk of becoming addicted. 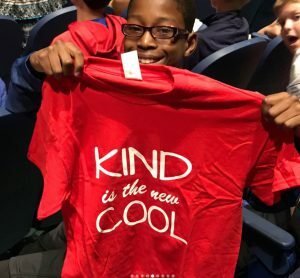 MPS Social Emotional Learning Facilitator Laurie Stillman shares more here. 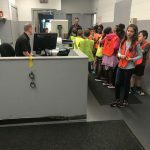 Thanks to safety patrol coordinator and physical educator Ben Jones, students from Tucker and Glover got to experience public safety training at the Milton Police station on Tuesday. These students were safety patrol leaders at there school throughout the year. 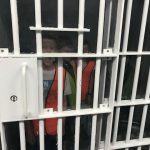 They were able to view some historical items, experience a ‘trail’ 911 call in the communications command center, walk through intricacies of booking a suspect, see the holding cells, and sit in patrol vehicles. It was a powerful learning experience and every student left with a smile on their face. 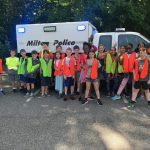 A special thank you goes to the Milton Police department for devoting their time and resources to help support this wonderful experience. 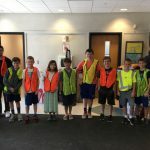 If you would like to learn more about the safety patrol program, please contact Ben Jones. 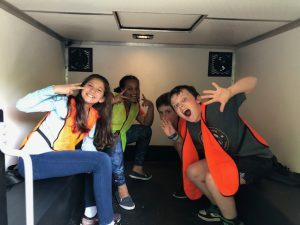 For the upcoming school year, we will be rolling over ridership from the previous year. If you currently have students registered for the bus, you will need only to send payment (for a paid bus ride) or an email indicating you want to renew your ride (for free rides). 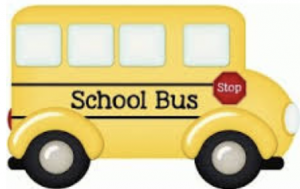 If you need to register a new student for the bus, details are here. Bus payment and registration (if needed) must be received by June 30th. Please refer to this link for all details and email Jane Barrett with questions. 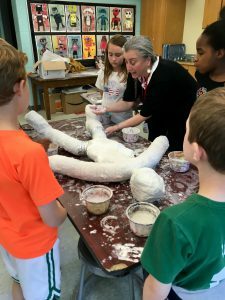 This summer the Milton Art Center is offering nine weeks of summer classes with separate morning and afternoon summer art class sessions for children, ages 5-12, and Summer Studio for teens, 12-17, who enjoy bringing their ideas and stories to life. Sign up now! The Milton Music Festival returns to Gov. Hutchinson’s Field a top of Milton Hill on Adams Street on June 23rd and 24th with two days of music, games, food, drinks and fun! Come visit the Forbes House the weekend of Milton Music Fest, June 23rd and 24th! We’ll have a table with activities and information set up in Governor Hutchinson’s Field on Saturday and on Sunday we’re holding an Open House from 12 noon – 3 pm with free tours of the museum. Town Rain Barrel program – SUSTAINABLE MILTON is encouraging residents to save rainwater by offering The Great American Rain Barrel at 40% Off retail! All details can be found here. 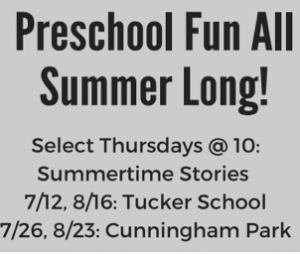 The Eustis Estate has 2 interesting programs for families in the coming weeks. 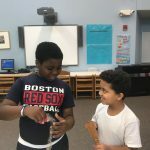 Drop-in craft workshops for families at the Eustis Estate—Friday June 15 and Saturday June 16, 10am-2pm and Make Music Boston Summer Concert–Thursday, June 21, 5:30-9pm. 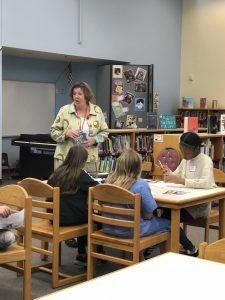 Tucker students are enjoying a visit from visiting artist Cynthia Smith who has been a contributing member of the Milton community for 16 years. She is an artist and educator with over 37 years of experience in the visual arts. This year’s project will provide an art experience that embodies the very essence of what public art expresses: community values, civic beautification, heightening awareness of the surrounding space and community, and inspiration. Three dimensional figures will be created and then displayed in the green space surrounding Tucker. These figures will be painted, decoupaged and mosaicked with cultural and familial artifacts submitted by the community (e.g. photos, notes, words, maps, primary sources, etc.). Mosaic stepping stones will be created to lead and welcome viewers to take a closer look. There will be an “Instrumental Petting Zoo” for 3rd- 5th grade students and their families on Monday, June 18th at 6:30pm in the MHS Auditorium. If your student is entering 4th grade or above and is interested in learning a musical instrument, come to this informational session at MHS. 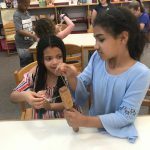 You will have the opportunity to ask questions regarding the instrumental lesson program and your student will have the opportunity to try instruments at our “Instrument Petting Zoo” and meet students who have taken lessons in the program. Contact Lesson Program Directors Rebecca Damiani or Gary Good with any questions. The place for all things athletics – schedules, important dates and information and more – is the Milton Wildcats website. If you have a MHS athlete in your house, be sure to bookmark this site! Athletics Registration Information for the fall can be found on the Milton Wildcats website under “Inside Athletics”. You will find key dates, registration steps, and links to sites. Fall Registration will open on Wednesday, August 1st. Tryout times for the fall will be on the website by next Friday, June 22nd. 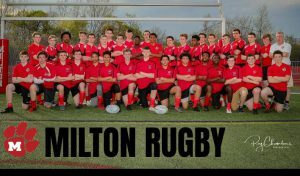 The Rugby Team has advanced to the MIAA State Final after beating Malden Catholic 49-0! Seniors Patrick Taugher, Liam Kelly, Chris Caputo, and Daniel Balerna lead the team to the finals scoring 34 points in the second half to return to the state finals. They will play the winner of the Catholic Memorial v Hanover game on Saturday, June 23rd at Newton South High School. (Time will be determined after the semi-final game tonight.) Good luck to the Rugby Team! Thank you to Roy Chambers for the photo of the team. 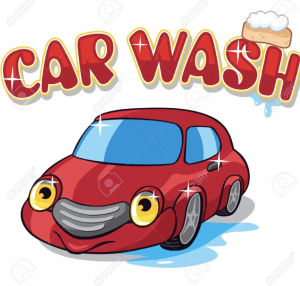 The final car wash of the school year is at Cunningham/Collicot driveway on Saturday June 23d from 9am-12pm to benefit the very busy track teams! Drive off into summer with a clean car! Students: We’ve all been there – the kids know more about technology than we do! 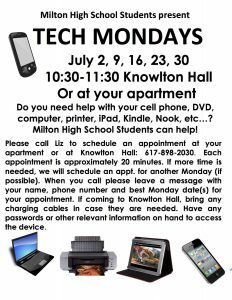 Well some of our MHS students are taking that to heart and helping out their neighbors at Winter Valley this summer with TECH Mondays. Thank you to our MHS students who are giving their time this summer to help those in our community. I know the students will have those laptops and cell phones running smoothly in no time at all! Staff: The MHS Student Government started a thoughtful new tradition this year as each class gave out a staff appreciation award. These awards were presented by each class’s student government to acknowledge a staff member who has made an impact on them on a daily basis, whom they appreciate for the work they do for the school, and who brightens their day! 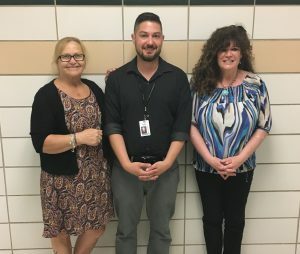 Please join me in congratulating these three staff members who are being honored this year – MHS Administrative Assistant Brad Spindle, Colleen Davoren from Food Services, and Custodian Judy Whalen! The Glover duck family has been safely helped to Turners Pond! 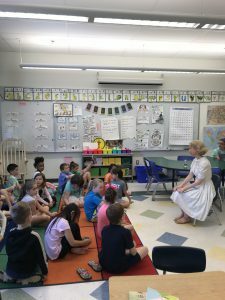 Volunteers: For many years, the Glover School has had a wonderful tradition of nurturing an expectant mother duck in their courtyard space and then, when it’s time, shepherding the family into the nearby waters of Turner’s Pond. The goal is to facilitate this natural event without interfering. 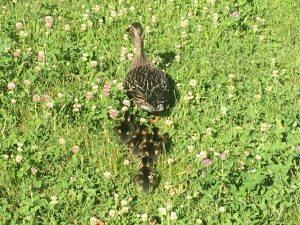 The ducks need help exiting Glover as the courtyard is surrounded by the building which makes it a safe and ideal space for the mother duck to lay her eggs. 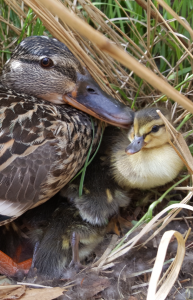 The process takes time and gentle monitoring and this week I would like to recognize two Glover parents who have been our version of duck “mothers” for many years. 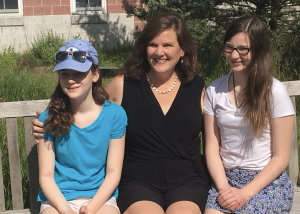 Thank you to outgoing Glover parents Ida Geering and Wendy Roth for their many years of gently and safely facilitating this process and we know you’ll be back next year to witness this wonderful Glover tradition. Thank you also to Mary O’Leary who is not pictured but has helped infinitely and will continue to be a part of the new duck team along with Kate Middleton and Kate Sutphin. Thank you to Mary, Kate and Kate who will keep our ducks safe for years to come! Thank you to Anders Geering for this sweet video of the ducks journey. Ida Geering with her husband Anders and her daughters Corinne and Lydia. Wendy Roth with her two girls, Avery and Sophia. 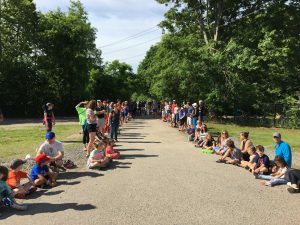 It was a special day at Glover on Sunday as hundreds of MPS students quietly lined the Glover walkway to help guide the ducks to the water. Thank you to my blog contributors this week: Ada Rosmarin, Sarina Burke, AJ Melanson, Marti McKenna, Kristen Fraine, Christie Chiappetta, JT Troy, Jennie Beliveau, Kelly Losi, Karen Spaulding, Charlene Roche, Karen McDavitt, Sara Warner, Holly Concannon, Jon Redden, Laurie Stillman, Noel Vigue, Amy Gale, Nancy Warn, Jackie Morgan, Ryan Madden, Elaine McNeil-Girmai, Cat DesRoche, James Jette, Bernadette Butler, Amy Gale, Sara MacNeil, Jaclyn Germano, Jess Gillooly, Anders Geering and Kristen Giffune.